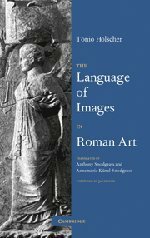 Tonio Hölscher develops a new theoretical concept for understanding the Roman art of images by establishing a connection between artistic forms and content and expressions of ideology--such as the glorification of state and ruler, war and triumph. A large role is played here by the reception of earlier images from Greek art. Roman art therefore appears to operate as a semantic system which, from an interdisciplinary perspective, can be compared with the forms of Roman literature as well as the language of images of other cultures.